For most of us, the idea of owning a boat brings to mind relaxing on the lake, awesome fishing, fun days at sea, speeding across the open water, or meeting a school of beautiful mermaids... or is that last one just me? As much fun as boats are, they also require maintenance. Antifouling paint, unfortunately for boat owners, doesn't last forever. That means there are over 12 million boats in the United States that need antifouling paint periodically reapplied! Fortunately for boat owners, bottom paint removal can be a whole lot easier with Dustless Blasting! 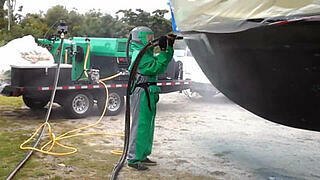 Dustless Blasting is the biggest breakthrough in surface preparation in 60 years! It's powerful enough to remove tough multi-part epoxy paint from this steel US Coast Guard Vessel. However, the blast pressure on the Dustless Blaster can be adjusted to safely remove antifouling paint from the hull of fiberglass boats, without damaging the gel coat! This means that everything from small craft, to large yachts, to industrial ships can be stripped with Dustless Blasting! It's FAST! 35 foot boats have been stripped in just 3 hours! Dust and contaminants get grounded. Since there's so little dust, others can work nearby, unaffected! Containing blasting byproducts is much easier with Dustless Blasting, so there is no need for complex and expensive containment. In fact, we've got contractors all over the world using our Dustless Blaster's for marine maintenance, and all sorts of other jobs! The Dustless Blaster owner gets paid well, and the boat owner gets his boat back in the water faster, with a superior hull cleaning. Everybody wins! 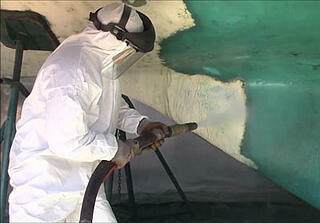 WANT TO SEE HOW MUCH YOU CAN MAKE STRIPPING BOATS AS A DUSTLESS BLASTING BUSINESS OWNER? DOWNLOAD THE CASE STUDY BELOW! 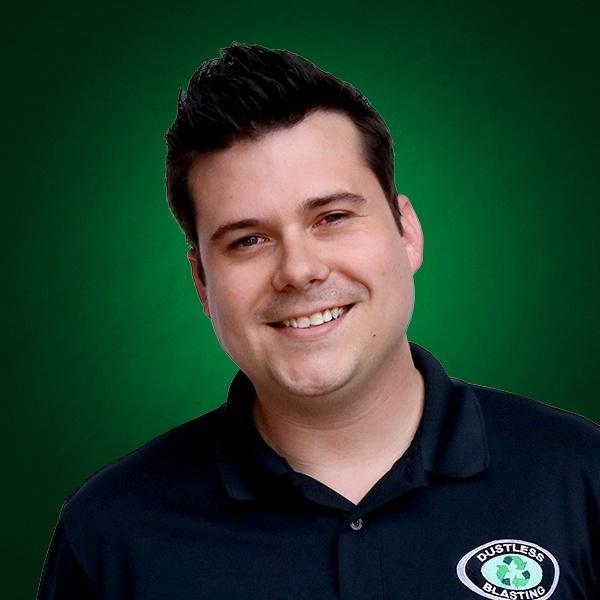 Need someone to strip your boat? Give us a call and we'll find a Dustless Blasting contractor near you! 800-727-5707. The Future of Surface Preparation begins with the world's #1 tool for restoration. Dustless Blasting® continues to pave the way for the refinishing industry and set new standards for efficiency and power. ©2018 MMLJ, Inc. All rights reserved. DB150®, DB225®, DB500®, DB500® Mobile S™, DB500® Mobile XL™, DB800®, DB800® Mobile™, Dual DB800® Mobile™, DB1500®, DB1500® Offshore™, DB1500® Mobile™, DB3000®, DB3000® Mobile™, DUSTLESS BLASTING®, the Dustless Blasting® logo, and “The Future of Surface Preparation” are registered trademarks of MMLJ, Inc.